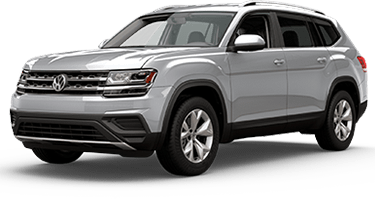 Families looking for a large, comfortable SUV with both power and efficiency will be well served by the 2018 Volkswagen Atlas. 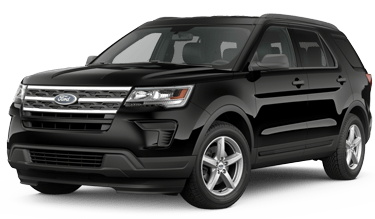 We’ve compiled this handy comparison page to show you how it stacks up against one of the most popular SUVs of all time: The 2018 Ford Explorer. Not even this venerable vehicle has the capacity or features to match the 2018 VW Atlas. Read on to discover what else sets the 2018 Volkswagen Atlas apart from competitors like the 2018 Ford Explorer. Then, we invite you to browse our convenient online inventory listings to see what Atlas models we have in stock at our Ballard dealership location. We’re conveniently located just 25 minutes west of Kirkland and Bellevue. With plenty of flexible storage and available premium features you won’t find on any 2018 Ford Explorer, the 2018 VW Atlas is the superior family SUV. The Atlas offers a roomier cabin, with extra legroom in the third row so even fully-grown adult passengers will be comfortable. Fold down both rows of seats in the 2018 Volkswagen Atlas and you’ll get more storage space than the Explorer with its rear seats down. The available panoramic sunroof runs nearly the entire length of all three rows, and opens up to provide a convertible-like experience whenever the sun is shining bright. The 2018 Ford Explorer doesn’t have an oversized sunroof. At the entry level, you’ll get five fewer miles per gallon in the city with the 2018 Ford Explorer. The 2018 Volkswagen Atlas will achieve up to 22 MPG in the city and 26 on the highway. It may seem like the new Ford Explorer offers more power, and this is true on paper. However, there’s more to the performance of your next new 3-row SUV than how much power is packed under the hood. Take a new 2018 Volkswagen Atlas for a test drive, and you’ll find that the standard turbocharged engine provides a responsive and exciting throttle. What’s more, the Ford Explorer starts out with a run-of-the-mill 6-speed automatic transmission while the new 2018 VW Atlas always has the right gear thanks to the advanced 8-speed automatic transmission with Tiptronic® and Sport mode. The 2018 Volkswagen Atlas received the 2017 Top Safety Pick award from the Insurance Institute for Highway Safety. The 2018 Ford Explorer won no such honor. For an extra layer of protection, the 2018 VW Atlas is equipped with the Intelligent Crash Response System, which automatically deactivates the fuel pump, unlocks the doors and turns on hazard lights when a collision is detected. That feature is exclusive to VW, and can’t be had on the Explorer. When equipped with VW Car-Net®, the Atlas can even alert first responders automatically in an accident if you’re unable to do so.